When it comes to hair products, colorist Amanda George has tried and tested literally thousands. As an expert in the hair industry, Amanda gives us her top five picks that have stood above the rest. 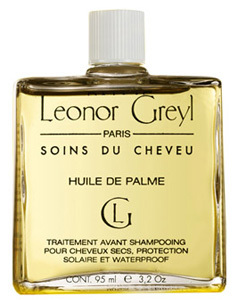 Leonor Greyl Huile De Palme (Palm Oil) – This pre-shampoo treatment uses natural oils and is an absolute necessity in the summer, as it protects your hair colour from the sun, chlorine, and heat damage. 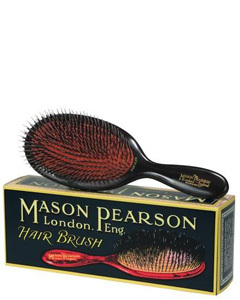 Mason Pearson brushes – The tried and true, original, handmade hair brush stimulates the scalp and distributes your natural oil throughout to give your hair a soft and supple sheen. Nola Singer Hair Accessories – The headpieces by jewelry designer Nola Singer are exquisite, one-of-a-kind, and vintage. Many of her designs can also be worn as a necklace. 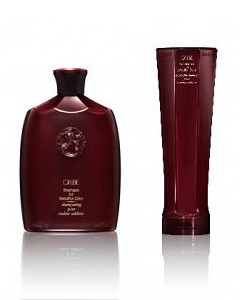 Oribe Shampoo and Conditioner for Beautiful Color – Thorough yet gentle on color treated hair, this duo helps protect your locks and extends the life of your vibrant hair color. 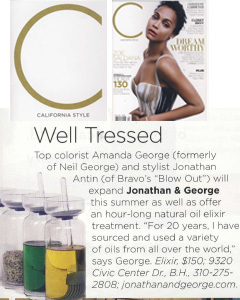 Personalized Oil Elixirs from Amanda George – As featured in California Style Magazine, these deep oil treatments for the hair and scalp are only offered right now at our salon in Beverly Hills. Amanda custom tailors each treatment to suit her client’s needs. All products are available at the Jonathan and George Salon in Beverly Hills.